Alfa Romeo 156 PDF Workshop and Repair manuals, Wiring Diagrams, Parts Catalogue, Fault codes free download! 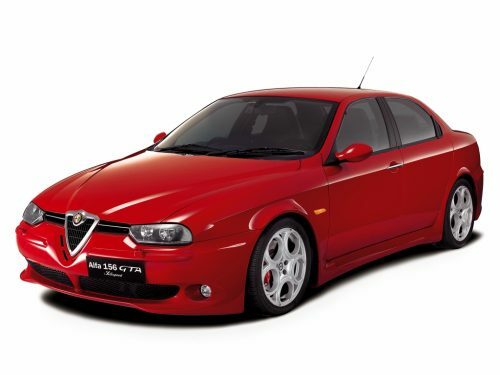 Repair manuals for the Alfa Romeo 156, as well as the operating and maintenance manual, the Alfa Romeo 156 1997-2003 output, equipped with gasoline engines working volume of 1.6, 1.8, 2.0, 2.5 liters, as well as diesel engines with a working volume of 1.9, 2.4 liters. The purpose of this manual is to become a simple and understandable instruction that will allow you to competently discuss and plan the repair of your Alfa Romeo 156 with a professional mechanic or perform it on your own. The individual sections of the manual include the instruction manual for the Alfa Romeo 156, the maintenance advice and the electrical equipment (wiring diagram) of the machine. The present Repair manuals will be useful to owners of cars Alfa Romeo 156, to mechanics, experts of service station, repair shops and car-care centers.